Vagaro is a powerful spa software for booth renters, large spas, and multi-locations. 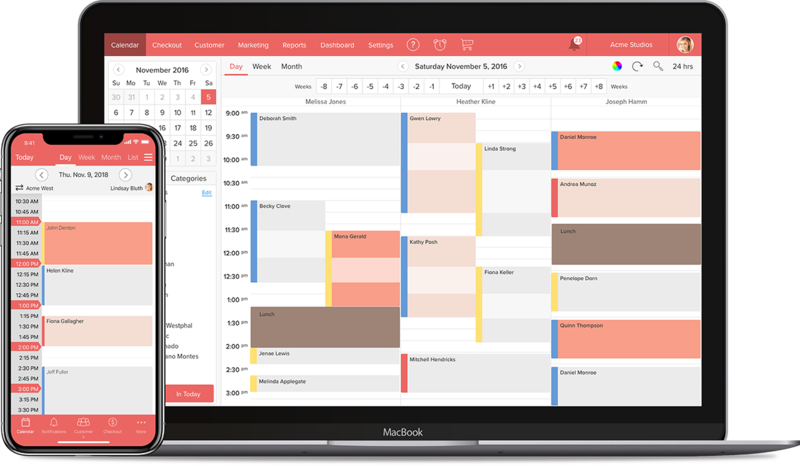 View multiple service providers’ schedules on one screen. Conveniently change your availability anytime and reschedule appointments when necessary. Give your clients the opportunity to schedule their next appointment when it's convenient for them. Get booked on the Vagaro App, Vagaro.com, Yelp, Facebook, Instagram or on your own website via our Booking Widget. performed simultaneously. 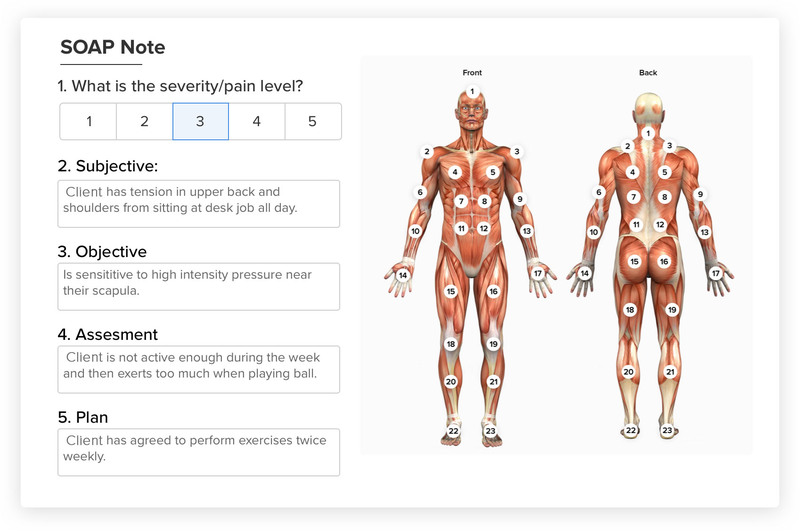 This is a great feature for spas, massage studios, and nail salons. 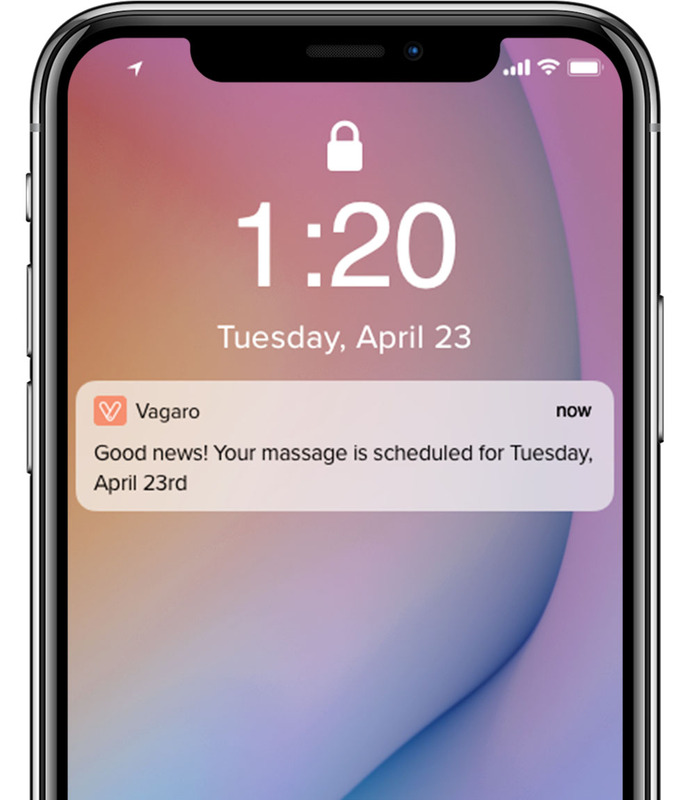 Vagaro sends you and your clients email, text, or push notifications. Be in the know when someone books or reschedules with you and make sure your clients never miss another appointment. The Vagaro App enables clients to book with you 24/7. 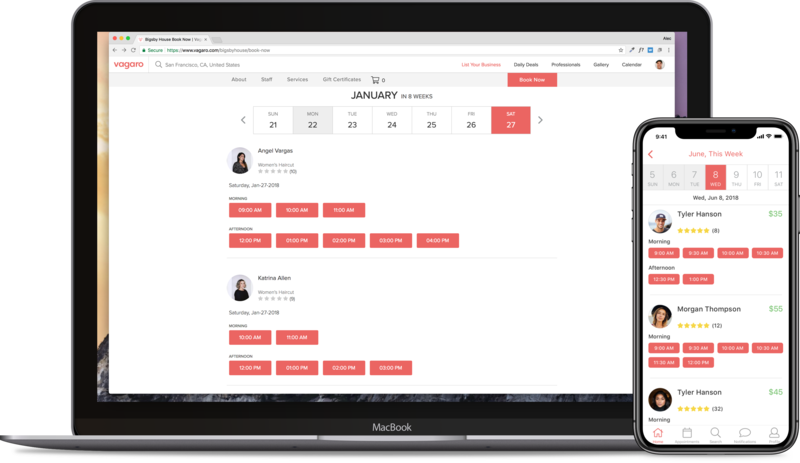 The Vagaro Pro App allows you to schedule services, clients & staff, send automated reminders & emails, sell products & packages and charge credit cards - from anywhere! 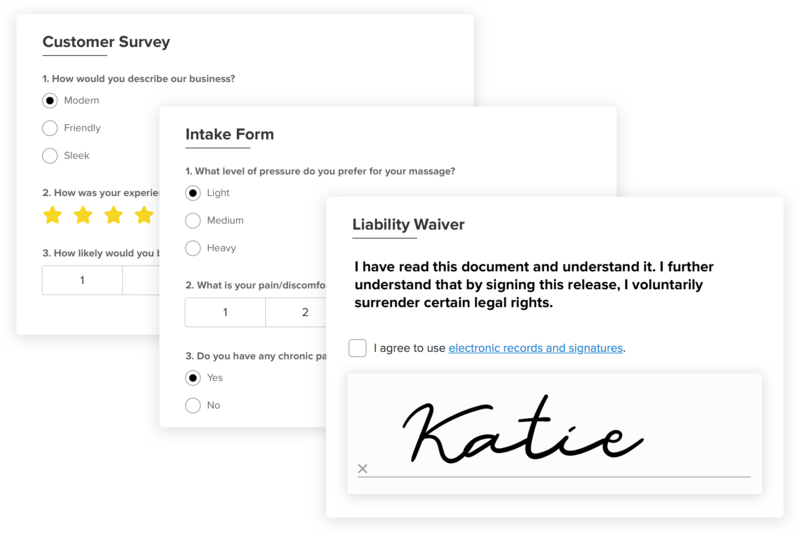 Create liability waivers, client intake forms, surveys & more from scratch or use a template to get started quickly. Send your forms out via email, embed them in your website, share them via a link, or require customers to fill out a form as part of online booking. Completed forms will be automatically saved to customer profiles. Each SOAP Note is automatically tied to a customer profile. You can create a new SOAP Note or edit an existing note. SOAP Notes can be referenced at any point and can be updated by employees. Process payments from your desktop or your mobile device, within the same system you use to manage everything else. We've got all the hardware you need: cash drawers, receipt printers, scanners, and credit card readers. Click below for pricing and more. Know your clients. Have their formulas, allergies, kids' names, birthdays and much more at your finger tips. Look up their last and upcoming appointments, purchases and gift certificate balances. Use our security settings to decide who has access to information. Get discovered by new customers and remind old customers that it’s time for their next appointment. Get your business featured on our salon & spa marketplace. Launch promotions and daily deals. 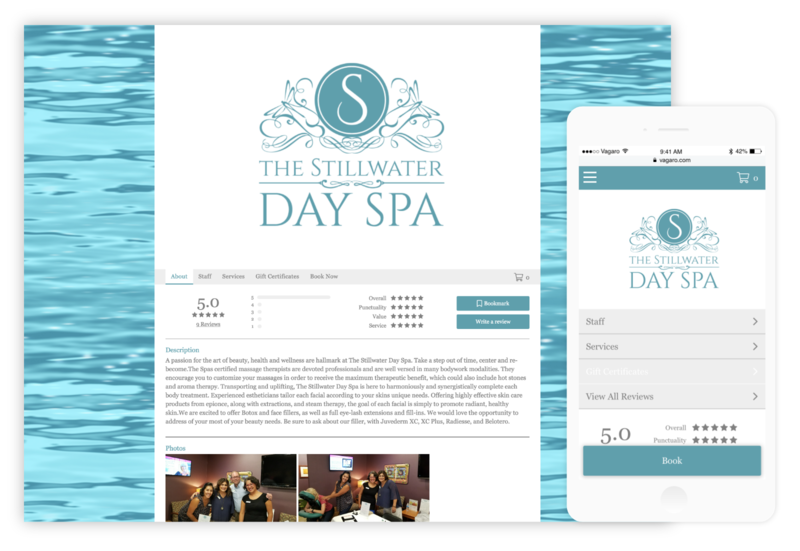 Use our email module to send automated birthday emails, follow-ups and reminders to clients who haven’t visited your spa in a while. 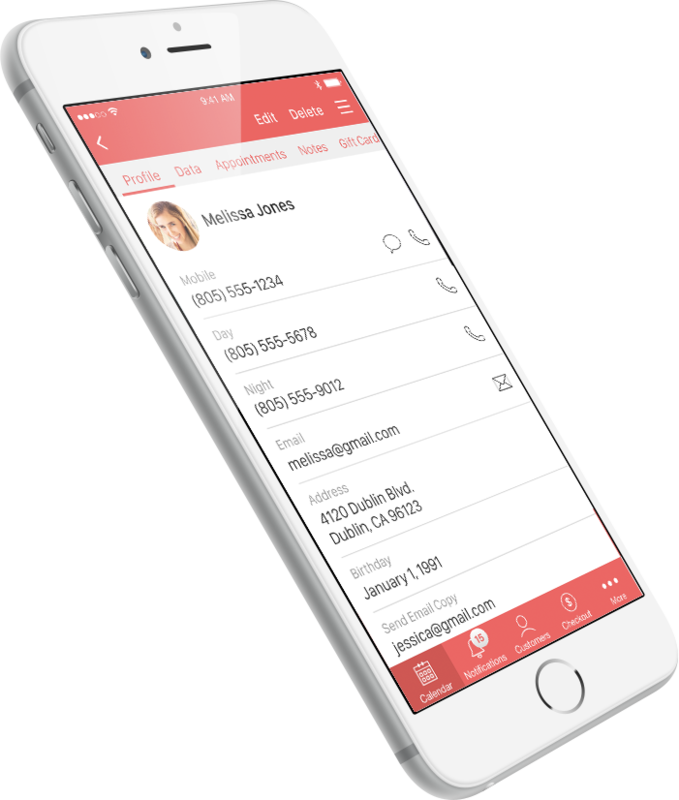 Automatically send birthday emails, follow-ups, or reminders to clients. Get your business featured on our salon & spa marketplace. Promote your discounts with our daily deals. You set the price and you keep all the profits. 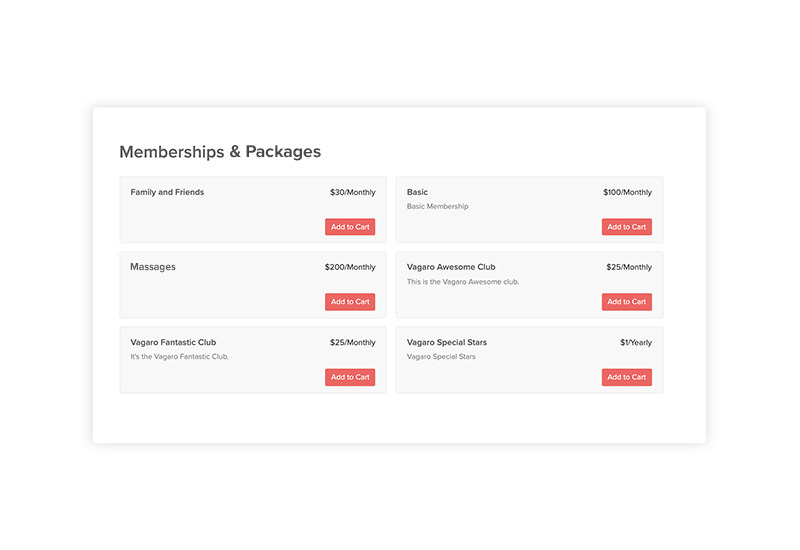 Create tailored memberships and packages and enable autopay to bill your clients at a set frequency. Sell memberships and packages online to increase revenue even more. Use detailed reports to stay on top of your numbers. 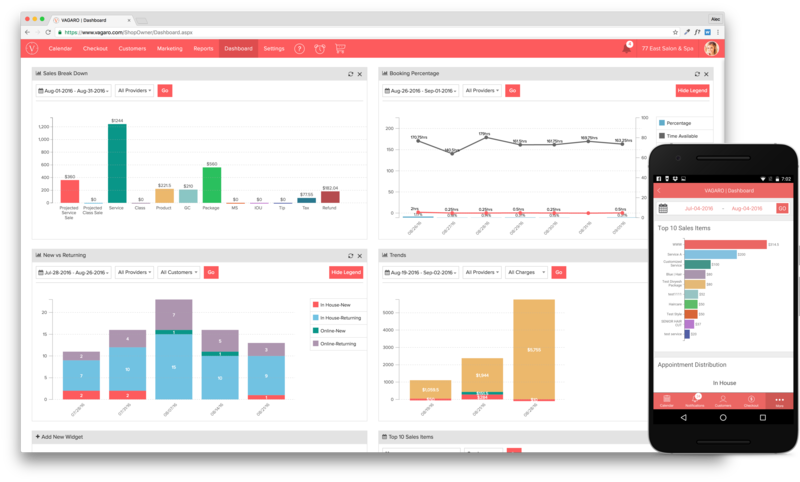 Our configurable dashboard gives you all of the information that you need in one place. Run your payroll, inventory, employee performance and customer retention reports. Tax time is now a breeze! Give separate access to your accountant to run their own reports or just use our export tool. Use Vagaro’s custom spa website builder to craft a responsive website that mirrors the style and brand of your business. Your customers can book services, read your reviews, buy products and gift certificates. Showcase your photos, bio and much more. 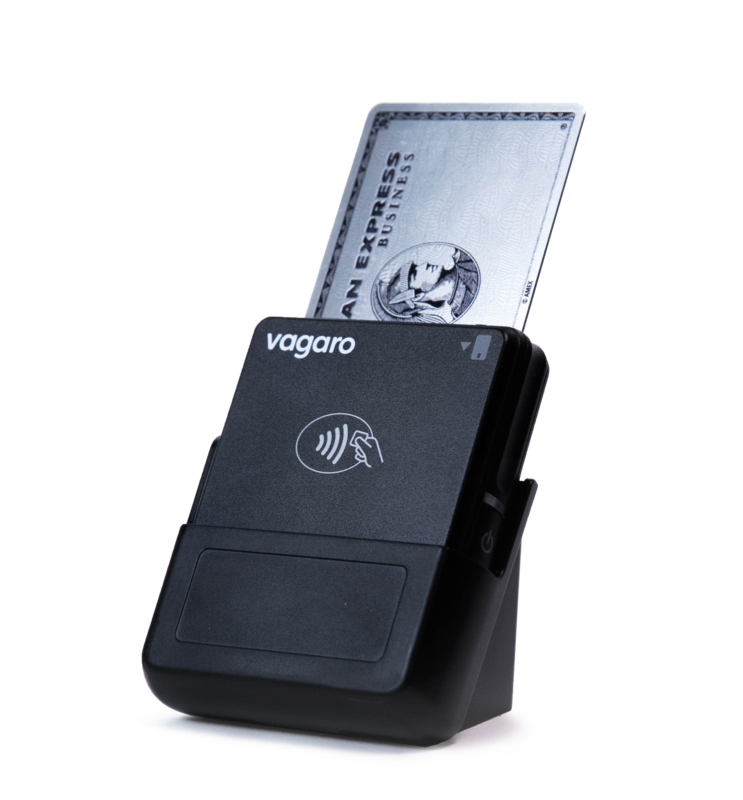 Try Vagaro for free for 1 month. Then, get access for the low prices shown below. How many service providers do you have? This can be changed later. 1, 2 and 3 make 6 whether you add them or multiply them. Ok. You're the real deal. Let's do this! Start your Spa Software free trial now, setup in just minutes. No contract, cancellation, setup, or sign up fees. You won't be charged until after your trial is over.